Retail stores of all kinds list one very frustrating and costly item on their monthly overhead expenses — inventory shrinkage. In other words, the loss of valuable inventory to theft. Whether from employees sneaking inventory off the loading dock into the trunks of their cars or “customers” helping themselves to so-called five-finger discounts, inventory shrinkage is a very real challenge every retail business faces. With a bad enough problem and not enough security measures in place to deter theft, shoplifting can shrink a company’s profit margins severely enough to close the business’s doors for good. How Bad Is Retail’s Shoplifting Problem? Amateurs– These opportunistic shoplifters are typically employees or customers who have found a way to reduce expenses or make a few extra dollars on the side by selling stolen goods. They often appear nervous or uncomfortable. Professionals– These thieves know exactly what they are doing and will be calm and collected while stealing. Addicts and Vagrants– These culprits steal to support drug and alcohol addictions. Kleptomaniacs– These individuals have a psychological problem that compels them to steal, even when they can afford to pay. Although all ages can be potential shoplifters, nine out of ten who are apprehended are under the age of 30. In spite of the cost of installing a security system, CCTV cameras will eventually pay for themselves in the form of reduced inventory shrinkage. CCTV cameras eliminate blind spots and concealed corners inside stores. 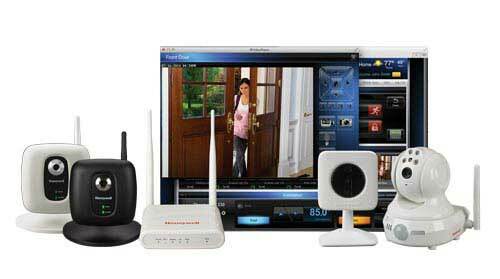 With CCTV, you can watch your store, customers and employees at all times. Having CCTV cameras installed and recording security footage will not only deter would-be shoplifters, it will also help you catch criminals in the act. In addition to preventing, detecting and reducing shoplifting and inventory shrinkage due to both dishonest customers and employees, CCTV cameras provide businesses with a number of additional benefits. Located outside the property, on loading docks and in parking lots, CCTV cameras deter violent crime and break-ins. They can also keep employees handling cash honest, come in handy in the event of a robbery, and they will also be useful in the event of a personal injury lawsuit. To learn more about protecting your business, employees and commercial property with CCTV cameras as a part of a complete commercial security system, contact a security professional at Arpel Security Systems today.